Knowing that a man's abode reflects his personality, would you call your pad a party animal's den or an obsessive gamer's battleground? Take your pick from these core entertainment gadgets and rest assured, home will never be the same again. With the world at your fingertips, augmented reality is just another trigger of heightened senses - a feeling you can never have too much of. When fragmented moments and hyperreal images meld into one exhilarating experience, taking your breath away, don't you just love your gadgets and wish you had more of them? Today, one look at the average gizmo-lover's room is enough to make us realise that we have come a long way from staring enraptured at grainy black-and-white televisions that were once our window to the world. Entertainment has become personal, and we now put our souls into palm-sized devices that can transport us to a virtual dimension with the simple push of a button. 'Idiot boxes' have become intelligent, obediently changing channels to the wave of a hand, and motion sensors have relegated remote controls to the background. Today, you return from office to a den equipped with devices designed to soothe your frayed nerves. These gadgets customise your personal space, effectively transforming it from a laidback bachelor pad to anything your techie heart desires - a cinema theatre screening a laugh-out-loud movie, a discotheque with bone-jarring yet crystal-clear music, or even an adrenaline-pumping gaming zone. True, we are a restless generation addicted to constant updation - forever getting ahead of ourselves - but let's try to make the best of it. If gadgets are your thing of choice, get your swagger going with these. 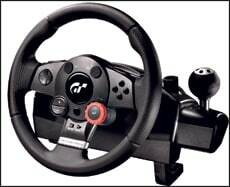 This racing wheel, customised for Gran Turismo 5 functions, has strong force feedback and convincingly simulates the racetrack feel, recreating bumps, crashes and traction loss. You can go 2.5 times around lock-to-lock with its 900-degree wheel rotation while gripping the 11-inch rubber overmold rim, which doesn't feel slippery even during the most intense of races. Bask in the feeling of sitting in the cockpit of an actual racecar while adjusting any of the set of 16 programmable buttons mid-race. The adjustable dial allows for different camera views and the pressure sensitivity of the ABS vibration is top-notch. This redesigned Razer Blade Gaming Ultrabook is a stunner, whether you look at it from the perspective of brute strength or studied elegance. 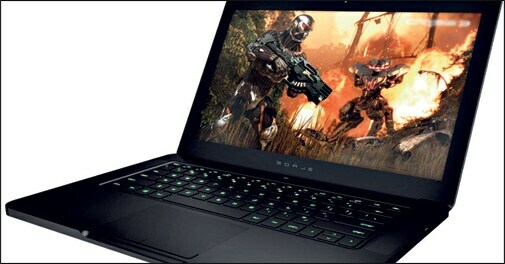 The decidedly sleek device, touted as the world's thinnest gaming ultrabook, is your best bet if you are a gaming enthusiast. Housed in a stylish frame of less than an inch's thickness, the redesigned Blade is a dedicated gaming notebook packing 4th-generation Haswell Core i7, a 2GB NVIDIA GTX 765M video card, and a 256 GB SATA III Solid State drive. Completing the package is a display screen of 14.0" HD with 1600x900 resolution, Killer Wireless N WiFi, 8 GB of DDR3L memory and clear stereo sound bars. BioShock Infinite never felt more real between your fingers! While you are earnestly advised against becoming a couch potato, can you help it if this cool device excuses you from changing CDs, DVDs and blu-ray disks manually? As far as its audio and video aspects are concerned, the device is like a high-end standalone Blu-Ray player, providing 7.1 channel Dolby TrueHD and Dolby Digital Plus, DTS-HD High Resolution Audio and DTS-HD Master Audio decoding onboard, plus the ability to bitstream audio to a receiver through the HDMI port. Apart from delivering optimum video quality, the megachanger also facilitates snappy on-screen navigation. Definitely worth a buy if you own 400 disks. 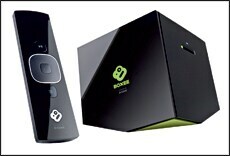 If you've had it with regular TV shows, here's the Boxee Box to your rescue. The chopped cube-shaped device - a part-wireless HD media player and part HD media streamer - sits pretty on a rubberised finish, preventing accidental slips. Its extensive movie library feature allows you to organise all your media, add episode data, and mark favourites for later viewing. It also automatically downloads movie and TV show information from the Internet, apart from supporting a host of add-in streaming applications. Its attractive user interface is complemented by a two-sided remote, with the direction pad on top and a QWERTY keypad at the bottom. The PS4, a potentially cloud-based entertainment system has become the epicentre of considerable hullabaloo and excitement prior to its eagerly-awaited launch in November. Even as gamers drool, Sony is on the verge of launching a winner - a veritable hardware genie device packed with a custom AMD chip, an eight-core CPU with 8GB of RAM and a GDDR5 unified system memory. Its stunning GPU and motion sensor gaming system, workable through the PS4 Eye, is enhanced by built-in speakers and the Dualshock 4 controller's capacitative touchpad. While prices have not been released for India, the package will be exclusive of the PS4 Eye. Liven up your living room with these exclusive audio and video gadgets that scream high quality. Fitted with two dual rotatable docks that allow you to play, mix and scratch music from the machine's archives, this bulky sound system is the ultimate in-sound experience. The overwhelmingly retro look of the black-and-gold boombox is complemented by the 5.25" bass speakers, the small tweeter units nestling in between, and the rotating iPod docks on top. Its 300W power output produces the most blaringly elegant sound, supports instant bass and digital sound control, apart from adding a little disco glam to your house party. And the best part is, there is negligible sound distortion no matter how much you crank up the volume. 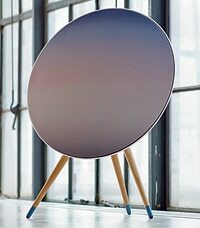 A veritable treat for the ears and the eyes, the BeoPlay 9 Nordic Sky Edition is a remodelled version of Bang and Olufsen's award-winning speakers. Its futuristic user interface allows you to connect the speakers wirelessly to your iPhone, iPad or iPod touch via AirPlay, and starts streaming data. Its delicate touch-sensitive tactile controls are a joy to the senses; swipe a hand across the touch sensor to control the volume or simply mute it by placing your hand on top. Available in pre-set sound modes for wall, corner or freestanding positions, optimising acoustic performance has never been so easy. The novelty of BeoPlay doesn't end here. Drawing inspiration from Scandinavian summer nights, the speakers come in different coloured light designs that change their shade and tone to match the mood & music in accordance with the sunlight - turning mild blue at twilight, a dark green shade at dawn, and reddish at dusk. The Samsung UN75ES9000 is a television that fits its lengthy name. 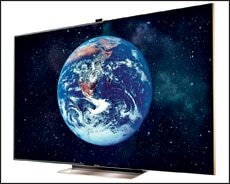 The impressive 75-inch big-screen 1080p 240Hz 3D slim LED TV retains the voice and gesture-based smart interaction features of its ES8000 series, but almost attains perfection in black levels and sharpness. The TV's 0.31-inch rose gold-coloured bezel border distinguishes it from the usual black, and clear-finished look of most HDTVs, and a camera pops up from behind the bezel - letting users control the screen with gestures and video chat through Skype. Other features include two 15W speakers, downward-firing integrated WiFi, three HDMI ports, three USB 2.0 ports, an ethernet port, a digital audio output (optical), a 3.5-mm analog audio output, and a DVI audio input. TV is hardly the idiot box anymore, is it? When you are not fiddling with these gadgets, they can be used to make quite a style statement. Neighbour's envy, indeed! Amazon's big-screen e-reader with its 9.7-inch e-ink display and full keyboard at the bottom is a handy e-reader if you still swear by newspapers. 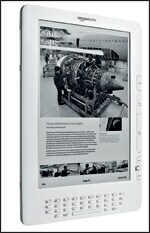 This particular Kindle model is particularly suited to newspaper and textbook formats. Its high-capacity interface makes for a convenient e-reader if you're just lounging around and want to finish that book you've been lingering over for weeks. And if you need to check out a few work PDFs, it fits in fine in the DX's 3,500-book storage capacity. Also, it makes the perfect companion for a long day at the beach because of its anti-glare properties. How can you pep up your morning work-out routine and ensure that you're burning those stubborn calories as well? 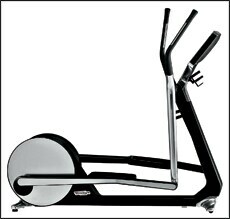 Cross Personal from Technogym, a first-of-its-kind cross trainer that looks like a futuristic treadmill, provides an engaging training experience based on its interactive digital platform. The multimedia integrated VISIOweb display comes in the form of a 19'' touchscreen glass, helping you browse the Internet and watch TV while exercising. Its simple visual applications allow you to check your emails and access your iPhone too. This handy button-cute device from Bushnell is the world's smallest laser rangefinder with selective targeting modes and superb optical quality; it is every golfer's dream come true. Under the standard mode, without using the pinseeker, the range shows up after you aim at the target and push the button located at the top. The device has a 51,000 yard ranging performance. Using the pinseeker, which shows the closer of two objects and eliminates the background, the slope mode is enabled and gives estimates based on its calculation of the degree of elevation. If you have always been a GPS user on the golf course, give the rangefinder a try - you may be pleasantly surprised. This wine cooling device's name may be a mouthful when you're explaining its functionality to delighted guests, but it does a great job of keeping your wine at just the right temperature. Its thermopane reflective smoke glass door and recessed handle make this miniature fridge so chic that you wouldn't really want to hide it away in a cluttered corner of the kitchen. 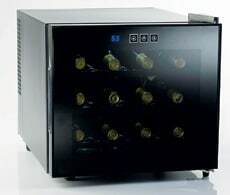 An exterior digital touchscreen makes for effortless temperature control, and the device lives up to its name by cooling your extensive collection of red and white wines with practically no humming.